Many would argue that food shouldn't be a luxury especially when you're a Foodie. That "effin" F-word really gets you ha! Being a foodie, food categorizing should not bother you at all, whether it's gourmet, a street food, fancy or just plain, traditional, food is food, and you can always get on the bandwagon of trying out trending food. And you just don't care of being judged. Let me share you a couple of my favorite food promos from my favorite luxurious meal purveyor- Raintree Restaurants. I mean, if you're too busy to spend an authentic and hefty Japanese meal at some restaurant, why not order Take-out Bentos from Izakaya Sensu. You can have a taste and enjoy seven different sets of Izakaya Sensu's Take Out Bento Box! 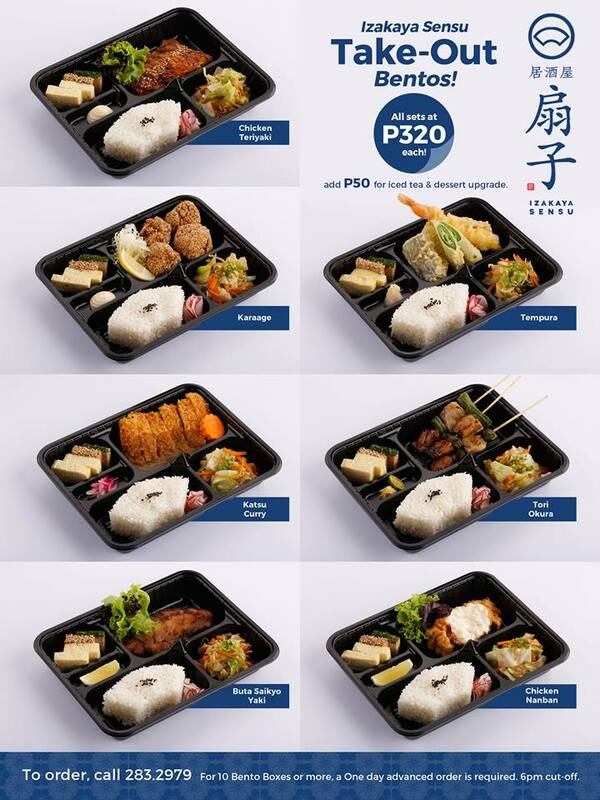 Choose from Chicken Teriyaki, Karaage, Tempura, Katsu Curry, Tori Okura, Buta Saikyo Yaki and Chicken Nanban - all for P 320! You can also order in advance! Just call 283-2979. However, if you have time to stick around for some beautiful Bento meal, then I suggest you visit Choto Matte or Izakaya Sensu. My favorite is the Chicken Teriyaki and Bhogs' is Sawara Saikyo Yaki. However, these Japanese style lunch boxes are only available from 11:30AM to 2PM everyday. 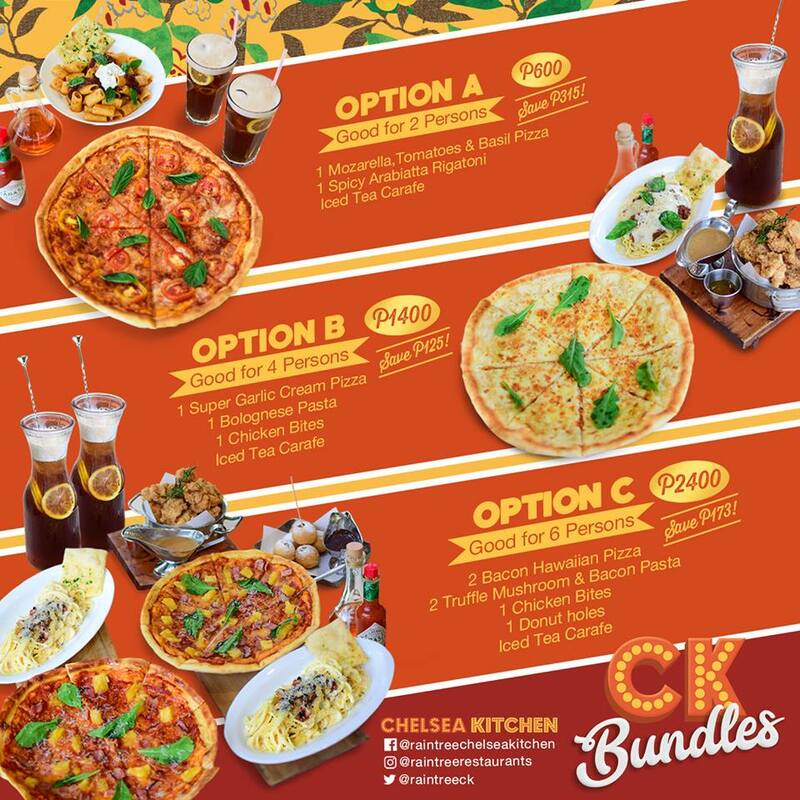 Prices range from P 350 to P 620. This appetizer from Choto Matte is just a breath of fresh air, well, it's actually fresh and a cool way to start your meal. Forgive me as I couldn't remember the name of this dish, but it's made up of avocado and raw salmon dressed in wasabi mayo. Did you also know that Izakaya has a signature iced tea? And it's not called Sensu Iced Tea for nothing. 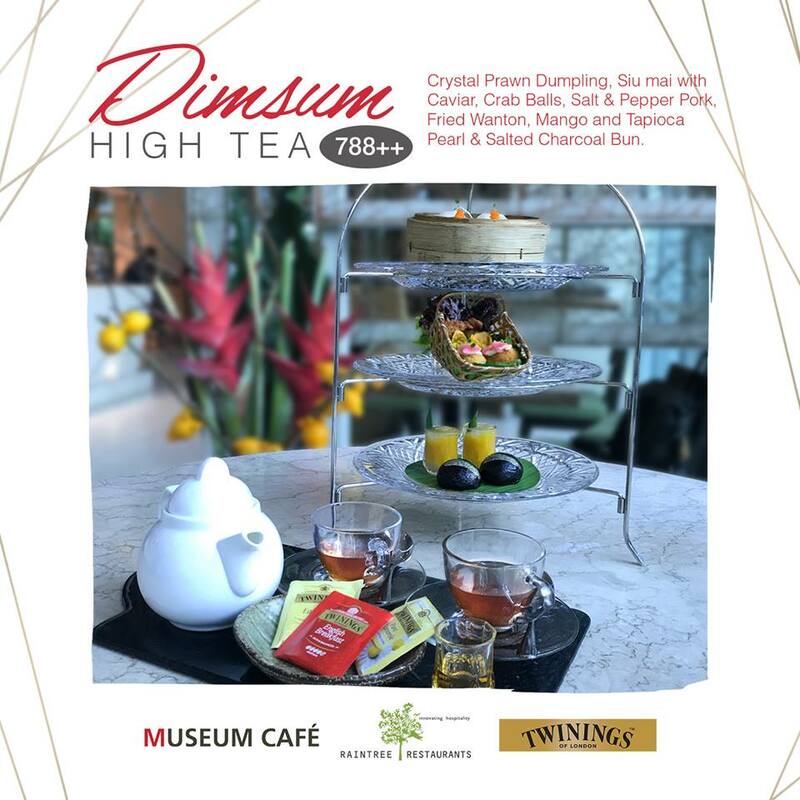 It's a magical layer of mandarin orange juice, green tea and other citrus fruits. During our last visit to Megamall, I made it a point to check out the posh kitchen sparkingly smacked right at the entrance of Mega Fashion Hall. After a short trip to the Smart Parenting Workshops organized by Smart Parenting magazine, we sure got the munchies for some comfort food. But since I'm with my daughter (who seemed to be the greatest "bil-mo-ko" of the pack) I needed to make sure our meal is right on the budget, we can make room for some retail therapy. So, the two of us had crashed our diet terribly with the biggie bundle OPTION A, which is only P600. This one huge Mozzarella, Tomatoes and Basil Pizza, a plate of Spicy Arrabiata Rigatoni (that's actually redundant, since arrabbiata means spicy in Italy) and two glasses of iced tea. We actually saved P 315 for this meal and was too heavy for us, so we had the rest of the pizza on doggy bags, cause I love cold left-over pizzas, it was great for the next day. I've been having this hankering for something with ube and it was such a perfect timing to find out Chelsea Kitchen has this Ube Pancakes. M Cafe or its sister dining place Sa Kabila, hosts an array of modern Filipino dishes and other foreign dishes given that "Chef Kalel Chan twist." I love spending coffee time here, especially when the rain disrupts your day. One of my favorite salad place too! My preferred bowl is the Ceasar at M (P 350). It has both kale and romaine lettuce. Croutons flavored with fried anchovy, Thai basil, bacon all coated with a yummy ricotta caesar dressing. And that lovely parmesan crisp disc says it all! The secret to enjoy this is to share it with someone (so tipid di ba? ), anyway, it's a big salad bowl. This is priced at P 350 but like their other plates, it can be shared by up to three persons.